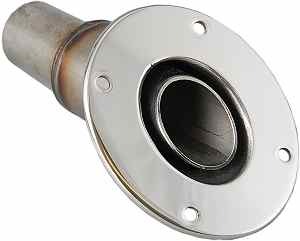 Stylish exhaust terminal that fits flush to the skin (outer hull) of a yacht or motor cruiser. Polished Steel stainless finish. Compatible with: MY30 & MX60 heaters.